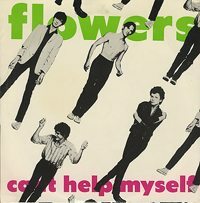 Flowers’ classic single I Can’t Help Myself is almost thirty years old. 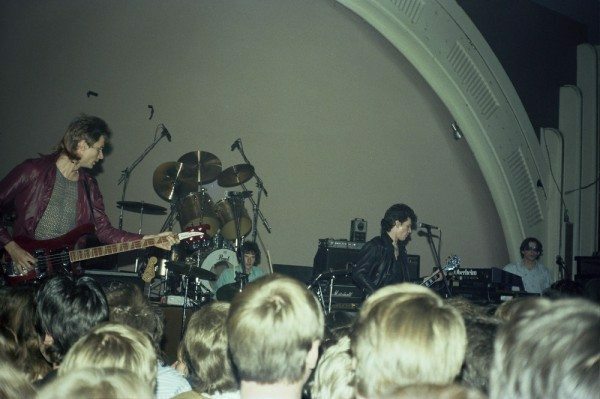 The band became Icehouse and Iva Davies is now famous around the world, but when they started out, they were shooting their film clips in Sydney suburban car parks and playing taverns. Part of a continuing online exhibition about Australian New Wave. Can’t Help Myself was released in May 1980 by Flowers, reaching #10 on the Australian Singles Chart. Flowers were Iva Davies, Michael Hoste, John Lloyd and Keith Welsh. The single was produced by Iva Davies and Cameron Allan. Spellbound: When did you first realise that he (Iva) was gaining notoriety in the Sydney area? Mrs. Davies: When he asked us to come and watch the filming of his first film clip in that car park in Chatswood. Mr. Davies: Can’t Help Myself. Mrs. Davies: We saw makeup people floating around and doing things. It was just a very great experience. 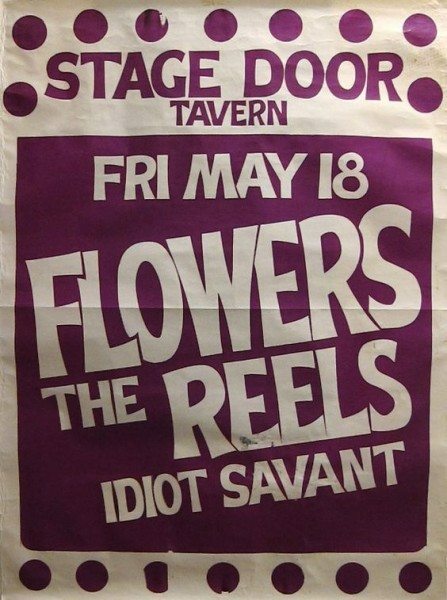 Mr. Davies: So we didn’t see one of those, but probably the first time we ever saw Flowers in concert was after they’d already released their first record and they were supporting XTC at the Capital Theatre in Sydney. We were actually invited to go. 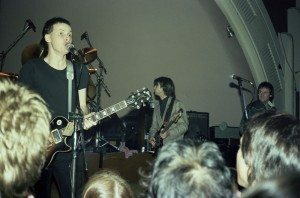 Mr. Davies: By that time the first album was out and they were quite well known and I think that particular concert line-up was the Divinyls and then Flowers and then XTC. 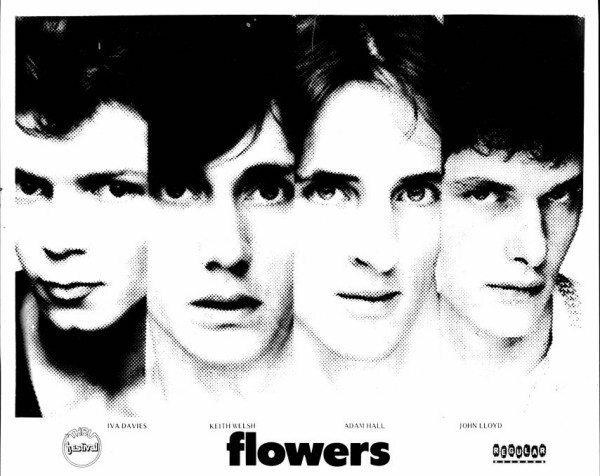 Flowers were part of the New Wave circuit around Australia from the late Seventies to early Eighties, playing small venues with other bands – like The Reels – who specialised in wildly original music, sleeve art work, film clips and styling. Flowers, Divinyls, The Numbers, INXS, The Reels, Sports, Mental as Anything and other bands crossing over from post-punk 1978 to the Eighties, were part of the New Wave. Flowers won the 1980 TV Week / Countdown Rock Awards Johnny O’Keefe New Talent Award, beating INXS before they had to change their name to prevent confusion with the Scottish group, The Flowers. They became Icehouse. With modern Australian acts like Cut Copy and Jet declaring what an influence Flowers was on them, the band (signed to Regular/Festival, above) remains seminal. But how was the group created? As a trained musician, Sydney-based Davies was approached to music publishing companies to write the sheet music for Elvis Costello, among others. With Icehouse and in his own right, Davies has become known worldwide for his work, including his composition of the score for the Russell Crowe/Peter Weir film Master and Commander. 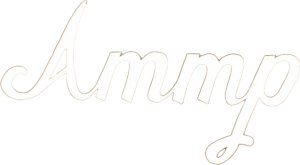 Roadrunner is one of the few global music publications from the New Wave era to be published online. Find more on Flowers in this issue – and in their cover issue. You can find I Can’t Help Myself on Icehouse Essentials, available to buy now on iTunes.